The shelter as it arrived on the site. Improvements continue at the Saturday Market, held each Saturday from 9 AM till at least 1 PM each Saturday at the corner of Front and West Grand Avenue. This week’s Saturday Market will feature fresh Mountain Man Produce. Other vendors expected are Garner’s Lumber with camp firewood, the Lost River Marketing Coop with crafts and Lost River Vermiculture. Live music is anticipated from Mark Wheeler and his daughter Nicole and the Rockhead, from the Arco Baptist Church. Do you know a new comer to Butte County? Help the Butte Communities Welcome Wagon welcome new residents with a basket of coupons and helpful information about living in Butte County. Call the “Welcome Wagon Hotline” at 527-3060 Ext 15 and leave contact information about new residents and the Welcome Wagon will call on them with a ;’basket of goodies. The Welcome Wagon was started by the Building Community Action Team of the Horizons Community Development Project and is now co-sponsored by the Butte County Chamber of Commerce. The program started small with coupons and gifts from just a few businesses, but has now expanded with the co-sponsorship to include everything kind of business and service from the newspaper to city services to convenience stores. So if you have a new neighbor to the county, give us a call and someone will visit them and present them with gifts, coupons and information about our community! If you are a merchant, service provider, community service organization, government entity, religious organization or other entity wishing to contribute to the welcome wagon program with materials or support, please call the Welcome Wagon Hotline and leave a message, and we will get back to you! 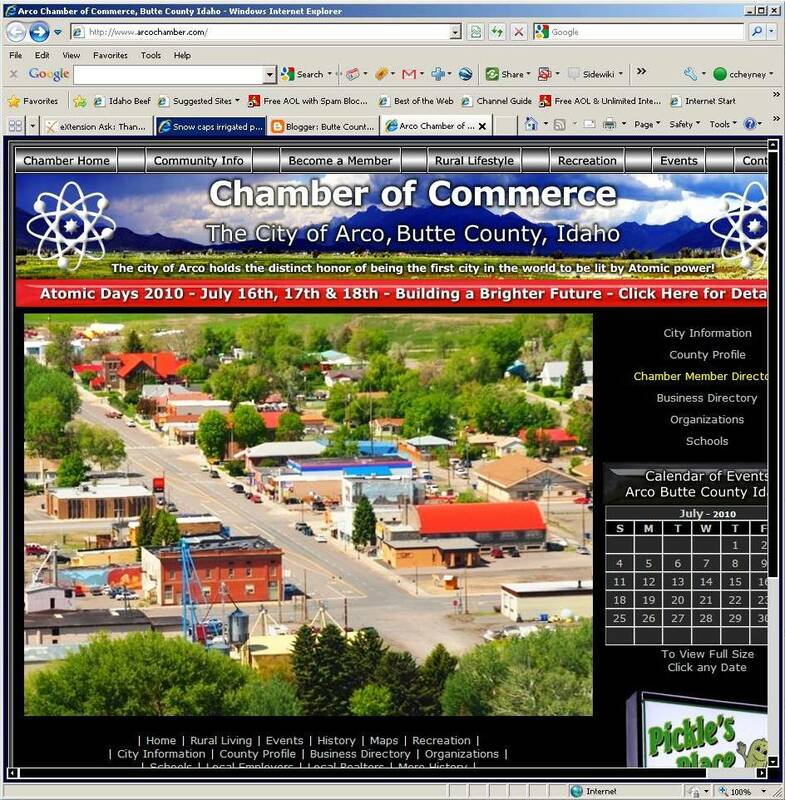 Atomic Days July 16-18: "Building a Brighter Future"
Atomic Days is coordinated by the Butte County Chamber of Commerce, but the individual events an activities are prepared, organized, sponsored, and operated by the individuals and group form the community. 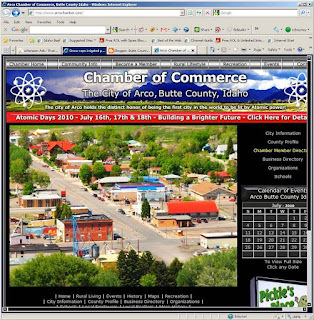 This is a reminder that the monthly Butte County Chamber of Commerce meeting will be Tuesday, July 13th at 8:00am at Pickles Place. This months featured speaker are the new owners of Reese's. Saturday Market business promotions and final preparations for Atomic Days will also be discussed. The Chamber and the Horizons Steering Committee is relaxing the merchandise requirements for the Saturday Market. Previously merchandise needed to be manufactured or created in the Lost Rivers Valley. The committee is would like to expand participation by permitting Lost River Valley businesses to sell items that might not have been manufacture or created in the valley. If you would have an interest in participating in the Saturday Market as a vendor, but didn't think that what you wanted to sell qualified, please send in an application for the committee to review.